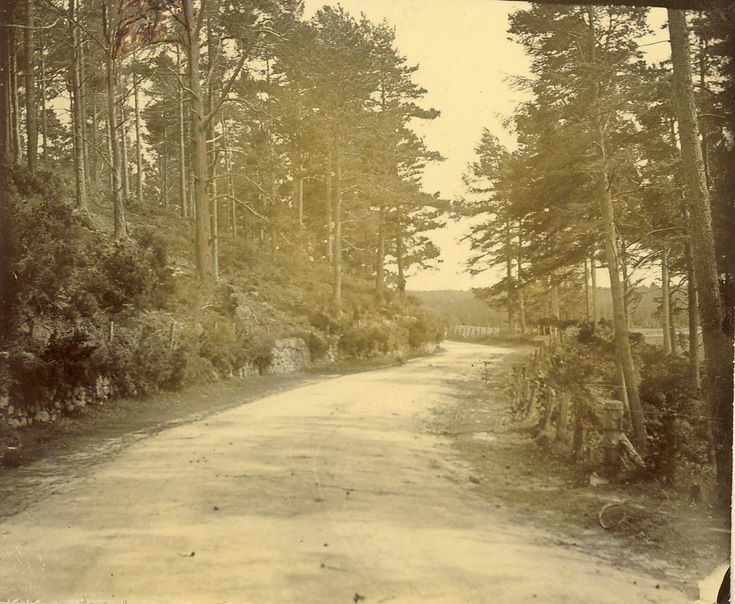 Monochrome photograph of the road from Bonar Bridge approaching Spinningdale. From an album containing a selection of postcards and photographs taken by Mrs J.I.C. Mackayo f Dornoch and surrounding area.